As a client with complex exposures in the Nordic countries or anywhere else in the world, you can benefit from co-operation with If Industrial. Ins​urance, risk management and claims specialists. Your ​risks are carried by a solid and financially strong company. Onl​ine service wherever and whenever you need it. It is essential that a loss is recoverable only by an insured who at the time of loss has an insurable interest in the goods. In certain high risk areas the insurance cover is in force only when agreed upon in advance with If P&C Insurance. High risk area list and information. The insurable interest or obligation to take out insurance is usually determined by a term of delivery, such as Incoterms​. 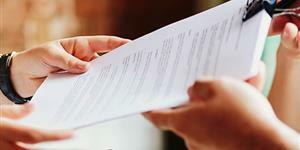 If will provide with the best claims handling service available in the insurance market. Let our international team of claims adjusters and Maritime Lawyer handle your claims so that you can concentrate on your core business. In the marine area If Industrial concentrates on products protecting your risks for loss or damage to goods in transit, or in intermediate storage in conjunction with an insured transit. Consequential losses due to a cargo loss can be covered by our Marine Consequential Loss insurance. In addition we provide insurance for Freight Forwarders covering the freight forwarder's legal contractual liability to their principal. 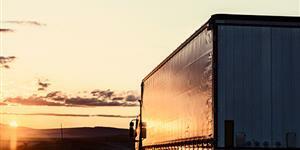 The purpose of cargo insurance is to cover goods in transit - during land transport as well as transport by sea or air. The purpose of carriers' and forwarders' liability insurance is to cover the carriers' and forwarders' liability regulated by national and international legislation and conventions. The modern freight forwarders need to accept other liabilities, as for an example, liability for operators of temperature-controlled equipment, warehouse owners and intermodal operators. Third Party Logistics and Internet Businesses are also becoming more frequent responsibilities for freight forwarders. 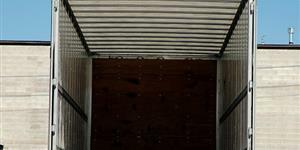 Cargo insurance can be effected on different conditions by using various clauses. Different liabilities are applicable for transit by sea, air, road or rail.